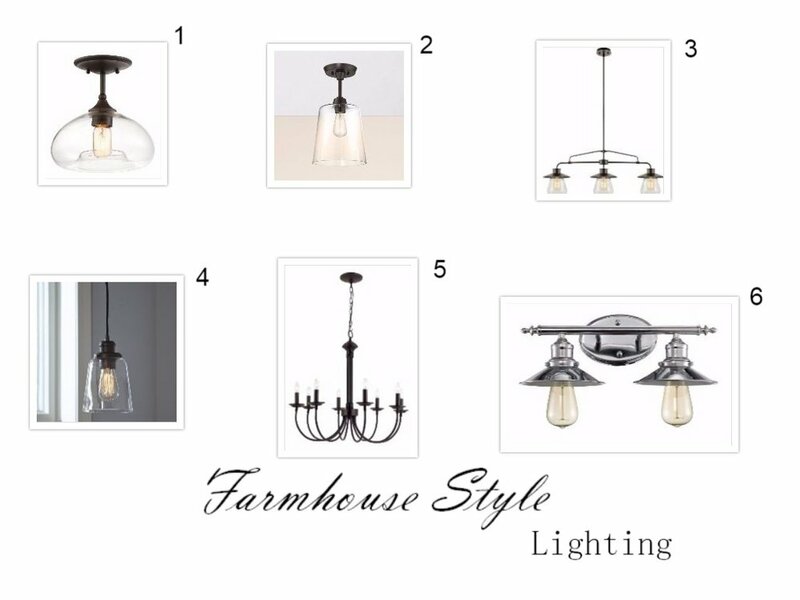 I wanted to share with you some of my favorite farmhouse style light fixtures. Changing out a dated light fixture is an easy way to update a space. You can switch out bathroom lighting, dining room chandeliers, or even just a hallway or entry light. Although some can be pricey, I've rounded up some of my picks that won't break the bank. All of these lighting options are under $100! Can you believe it? Number 6 is actually the vanity light we got for our half bath remodel and we love it. So, if you want to update your space, try a new light fixture. It can help bring in a new feel and update the style.